We are a leading Manufacturer of industrial warehouse racks, warehouse rack storage system, warehouse storage racks, fifo flow racks, industrial rack and warehouse racking from New Delhi, India. 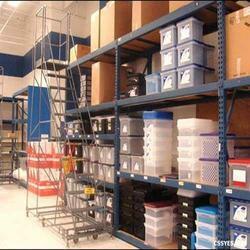 We are one of the leading organizations engaged in providing a wide array of Industrial Warehouse Racks. These racks are manufactured by the expert & sincere team of professionals who are well versed with the ever-changing market environment. Our products are manufactured by the professionals in compliance with the industrial standards as well as the exact requirements of the esteemed patrons. Our Warehouse Rack Storage System are widely appreciated by our clients for their durability and long lasting. We are widely known for providing the best solution for the Warehouse Storage Racks.Our Warehouse Storage Racks are one of them.We are the best Warehouse storage rack Manufacturer & Warehouse storage racks manufacturer . We are one of the leading name in the manufacturers of Fifo Flow Racks .Our Fifo flow racks are produced by using the high grade raw materials.We offer these racks at very good prices and by maintaining the high quality. Unit Size (mm X mm) As per client request. We manufacturers high quality of Industrial Rack Manufacturers .Our Industrial Rack are widely used for various application in storage system. With the years of experience and vast knowledge, we are engaged in offering a wide range of Warehouse Racking to meet the demands of our clients. 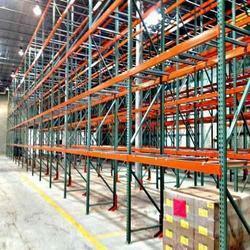 These Warehouse Racks are manufactured under the guidance of the skilled workers of the industry. In addition to this, these Warehouse Racks are offered on time as per the mutual consent. We are Manufacturer and Exporter of storage rack system. 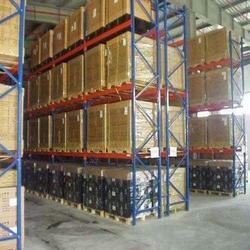 Warehouse Racks is generally used for storage and order of goods, bins, cartons. this system helps to increase the storage capacity by making full use of two ties system. we serve these products in market in different sizes and shapes at Good prices. we serve these products in market in different type of color such as Blue, orange, Grey. Looking for Industrial Warehouse Racks ?